We are back after our summer break at Cupcake Inspirations and have a new challenge for you. 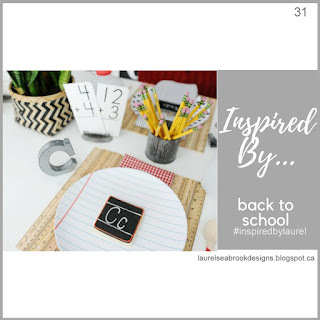 This time it's a theme challenge - Back to school. This challenge is sponsored by Newton's Nook Designs and they are generously providing a $25 gift certificate to our randomly chosen winner. 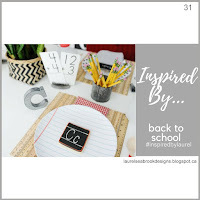 Unfortunately my Newton's nook stash couldn't have been made into a back to school card. So I mixed up my stash of various products to make this card. The pattern paper in from an Indian company called hndmd, the easel die- by Paper Smooches, the sentiment by Sunny studio stamps and the bear and the mouse from Neat and tangled. I used zig clean colour brush pen to color my critters. For the black board - I used distress ink - vintage photo for streaks on the wooden frame and the sentiment is white heat embossed on a black cardstock. I applied a little white pigment ink on the board to make it look real. My little bear also has started going to school, he's 3 years old and goes to nursery. The teachers for such young kids, really do a great job. To look after them, teach them and keep them entertained, is a tough job. They are really amazing.. and I hope we all stop by to tell our teachers and our kid's teachers, what a great job they are doing. I also wish the primary teachers get paid well, they deserve it. 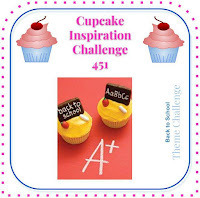 I hope you like my card and will join us for our challenge. To get more inspiration, check out the fabulous card by the design team, here. It's an Adorable card Ishani ! Loved how you have put supplies from various brands together on this card. Cute! Thanks for joining us at Sunny Day Crafting. Ok so this is adorable! I love the background and that cute bear!